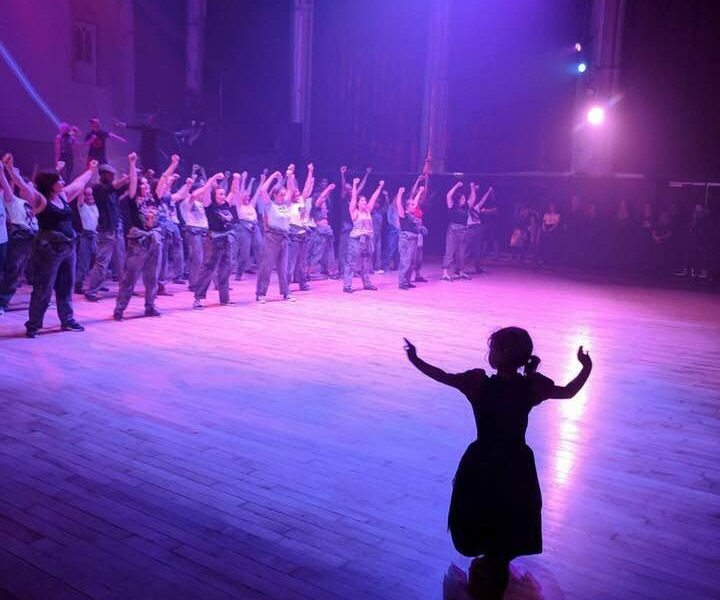 A dance spectacular at Middlesbrough Town Hall has been hailed as ‘life-changing’ by the volunteers who made it happen. During the May Bank Holiday weekend, the Town Hall and Southpaw Dance Company delivered a spectacular dance performance piece – Erimus – across the newly refurbished historic venue, from the auditorium to the courtroom, the carriageway and the prison cells. The performance, choreographed by Southpaw’s Robby Graham, featured volunteer members of the public performing alongside professional dancers, something Southpaw are known for the world over. Now a week on, Middlesbrough Town Hall say the positive impact on those volunteers has outstripped all expectations. Charlotte Nicol, Middlesbrough Council’s Head of Culture, said: “The feedback we have had from the volunteers involved in Erimus has been outstanding. It’s generally considered that volunteering kindles happiness. When researchers at the London School of Economics examined the relationship between volunteering and measures of happiness they found the more people volunteered, the happier they were. Compared with people who never volunteered, the odds of being “very happy” rose 7% among those who volunteer monthly and 12% for people who volunteer every two to four weeks. Among weekly volunteers, 16% felt very happy. So, what did the volunteer performers of Erimus think about their most recent foray into performance art? “For me, it’s been about the warmth of our new friends, sharing their pride in Middlesbrough, the challenge of working right through this beautiful building and… the music! It’s a huge privilege to see the show evolve over the weeks!” said Michelle Hudson, a volunteer performer from Middlesbrough. As Middlesbrough Town Hall continues its opening season apace after a £7.7m refurbishment project funded by Arts Council England, the Heritage Lottery Fund and Middlesbrough Council it seems it is cementing its place as a destination for creativity and community, as new visitors are drawn to the Town Hall for the very first time. Said one volunteer: “Taking part in Erimus has opened my eyes to new places and new people. Anyone wanting to stay informed about similar participatory events should sign up to the Middlesbrough Town Hall newsletter on the website.